@basharsuleiman Aka Mosstnqa'a Aka King Solomon aka Baby Bash Amman based Producer / Dj / Mc and a Hikma VIP club member sad music break up music? خليط هو ميكس بنعرض أحلى موسيقى تحت الأرض من كل الوطن العربى الشقيق. الليلة دى هز اللي عاملها عشان ن هز يعني..أحلي مسا علي أحلي فخاد. 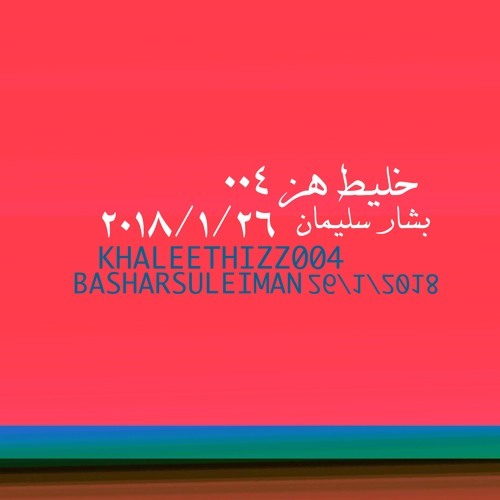 KHALEET is a mobile mix series showcasing the best in underground music from across the Middle East and diaspora. Brought to you by HIZZ, a Detroit x Cairo based art / music collective.